Manchester is one of the gems of southern Vermont -- a pretty travel destination featuring numerous recreation opportunities both indoors and out. It's close to ski areas, hiking trails and fishing spots -- and is also a famous outlet shopping mecca. 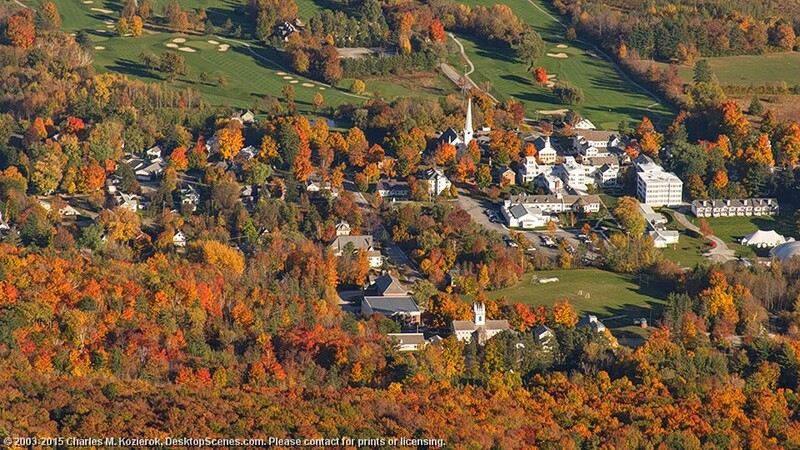 This image shows a bird's eye view of the heart of town during peak foliage, taken from a popular overlook about a 15 minute hike from the summit of Mount Equinox. The mountain, the highest in the Taconic Range, is a prominent landmark in the area, accessed via a toll road off Route 7A.